In partnership with Kjeller Innovation and supported by the Research Council Norway FORNY2020 program, NGI is currently establishing a technology spin off that aims to reduce cost and time for ground investigations in complicated, large-scale infrastructure developments in Norway. As an innovation project this has gained attention at the Norwegian Prime Minister's office, and Erna Solberg plans to visit Kjeller Innovation September 4th for a briefing on NGI's innovative solutions amongst other start up concepts currently developed. Largely due to uncertainty in ground conditions, infrastructure projects typically exceed their budgets by 20 to 50 percent. Geotechnical boreholes and in-situ investigations are the current state-of-the-art, but they are exceedingly costly. For close to 10 years, NGI has done research on adapting an airborne geophysical method for geotechnical site investigations. 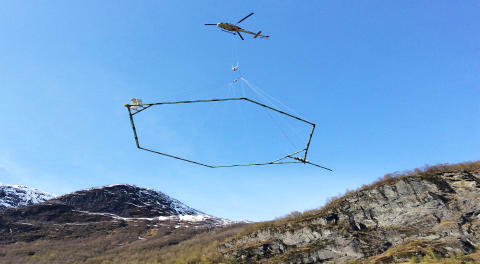 Such helicopter geo-scanning surveys integrate complicated geophysical models with sparse geotechnical drillings to produce an integrated ground model with statistical uncertainty. Machine learning algorithms are key to the success of this technology because they integrate enormous amounts and varying types of data. More on the science behind the spin-off's technology can be found here and here. The FORNY2020 project Airborne geo-intelligence: Revolutionizing geotechnical site investigations for large infrastructure projects aims at the commercialization of airborne ground investigations, building on NGI's prior successful projects both in Norway and internationally. The machine learning-based integration of geophysical models with selected ground observations is the motor to scale this technology for more and bigger projects. NGI has been a pioneer in this application and market adoption is in part limited by the finite resource pool of specialists that are needed to interpret the acquired data. The spin-off will make it possible, easy and natural for practicing engineers to use such surveys without the need of speciality background knowledge. Further references to past projects here and here. Since its establishment in 1953 it has been NGI's mission to engage in research and development that creates results in the form of new expertise, new methods and new technology relevant to the market and put into direct use when mature. 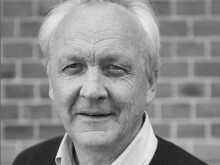 Since the establishment of Electromagnetic Geosurvices ASA in 2002 (together with Equinor) the current NGI strategy focuses strongly on innovation and commercialization.